I have this plant that come up the last two years and haven't flower. Can someone tell me what is this plant please? Would it flowers or just like that yearly. It looks like peony, if so did you plant it? non flowering could be down to the peony being planted too deep. I agree - a tree peony by colour of leaves. I don't know how old it has to be before it flowers. Im sure i read on here, it could take 5/7 years before Peony flower! or did i dream it lol.. 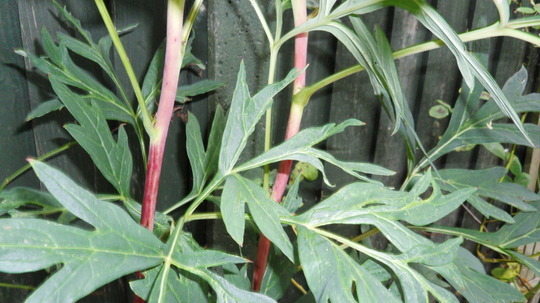 I was thinking the same ojibway93, if its tree peony then it takes a few years for them to mature, have got some on the allotment aprox four years old now and still not flowered. Blimey. I must be lucky then because I planted a small one last year and got three beautiful flowers this year. 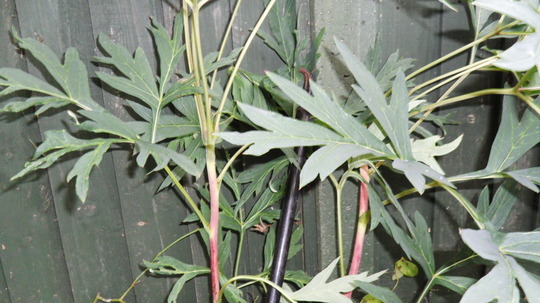 Was it a herbaceous peony or a tree peony? The herbaceous ones do flower sooner. If it is a tree one then don't cut it down. If you have been, then this may explain no flowers. Once they are established you can cut back to the ground if need be - we had to after the heavy frosts of last winter destroyed all the top growth. Masses of new growth well over a metre in height. It is a tree peony Moon grower. Then you were very lucky Digginfit.